American whiskey has scored a Whisky Bible hat-trick by being named as Jim Murray’s World Whisky of the Year for the third year running, with WL Weller 128.2 Proof taking top spot in the 2019 edition of the influential guide. Speyside single malt Glen Grant Aged 18 Years was named ‘Second Finest Whisky in the World’ – making the top three for the third successive year – with Thomas H Handy Sazerac Rye 127.2 Proof in third place. The Weller and Handy whiskeys are both part of the Buffalo Trace Antique Collection 2017. US whiskeys have now taken the Whisky Bible top spot for three years in a row, following victory last year for Colonel EH Taylor Four Grain Bourbon, and for Booker’s Rye in the 2017 guide. WL Weller also made the Whisky Bible top five in 2016, and was placed third in 2017. Another Bourbon, Blanton’s Gold Edition Single Barrel, was named as 2019’s Single Cask Whisky of the Year. It is now five years since a Scotch was named Whisky of the Year (Glenmorangie Ealanta, Whisky Bible 2014), with the top spot going to Japan, Canada and the US since then. Murray praised the ‘unique brilliance’ of WL Weller, describing it as ‘the most delicious lesson in whiskey structure imaginable’. 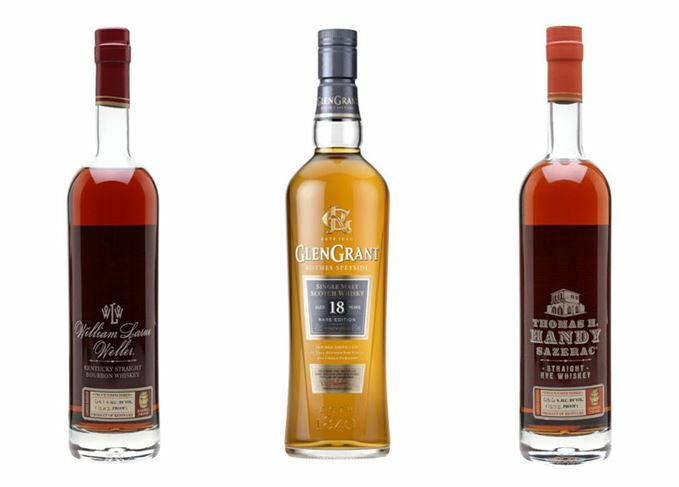 Glen Grant Aged 18 Years was Scotch Whisky of the Year, with other awards going to: Redbreast Aged 12 Years Cask Strength (Irish Whiskey of the Year); Canadian Club Chronicles: Issue No 1 Water of Windsor Aged 41 Years (Canadian Whisky of the Year); Hakushu Paul Rusch (Japanese Whisky of the Year); The Norfolk Farmers Single Grain (European Whisky of the Year); Amrut Greedy Angels 8 Years Old (Asian Whisky of the Year); and Belgrove Peated Rye (Southern Hemisphere Whisky of the Year). For the first time, this year’s Whisky Bible includes separate sections for English and Welsh whisky, and for Australian whisky.